Denison Library opened in 1931 to its first students, quickly becoming an integral and intimate part of not only theirs but subsequent generations’ educational experiences. 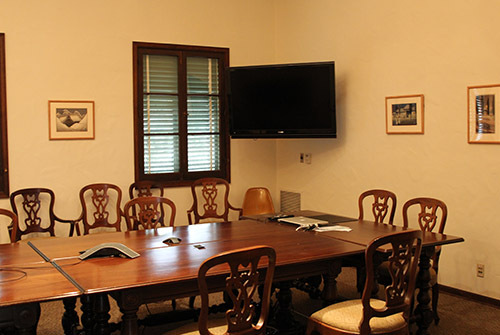 Located in the Dean of Students Office this room is perfect for your conference or meeting needs. The Motley Coffeehouse is a student-run business and has been defined as: “An intersectional, political, and feminist business." On the second floor of Steele Hall is a suite of rooms used nearly every day for special events, such as conferences, lectures, performances, and community meetings. Built in 1957, Vita Nova Hall hosts several different conference halls, a library, copy center, faculty offices, and Human Resources.